This magnificent new book by world-renowned author & breeder Judith Forbis is a “must have” for everyone who loves Arabian horses. Both inspirational and educational, the book artfully combines the life story of Ansata Hejazi with landmark historical references and impactful lessons in the Art of Breeding. The heroic role of Ansata Hejazi (1992-2015) in restoring Arabian horse breeding in Kuwait, countless images of this influential stallion, his get and grandget, and comments about his worldwide influence from breeders around the globe. 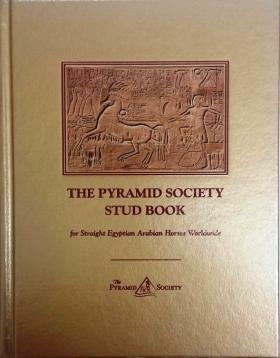 Unique pictorial and historical reference sections of ancestral horses including a chapter with enlightening new information about the source of the Dahman Shahwan strain. Beautifully illustrated Art, History and Heritage section… and much more!